We grew up with plenty of Crockpot meals, and in fact, mum’s Crockpot only just gave up the ghost after more than 20 years of cooking us regular meals. I love the ease and convenience of Crockpot cooking and there’s so much you can do with it – including vegetarian nachos! 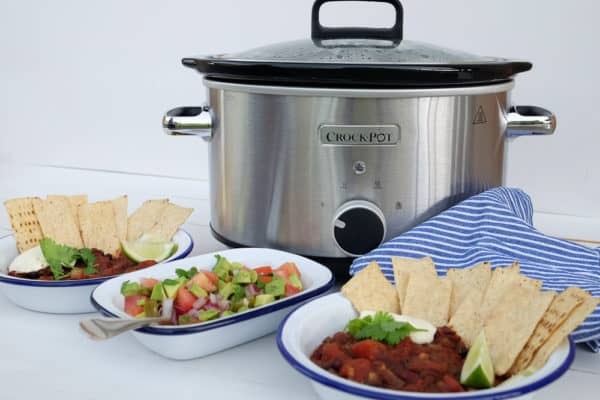 Crockpot have recently relaunched with three models to suit all families. I gave the original Crockpot CHP200 family size version a go and created these delicious vegetarian nachos. The family size serves 2-4 people which is perfect for us and the bonus is it doesn’t take up too much room in the cupboard. Nachos might be an easy dinner but with the Crockpot they are even easier! Created with plenty of vegetables and served with a delicious salsa, they’re a healthier twist on the original. 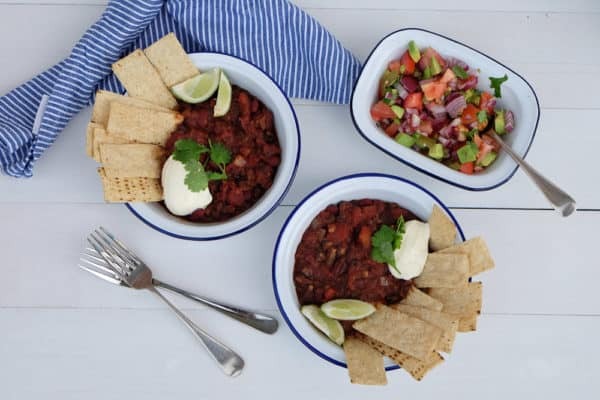 Black beans and kidney beans provide antioxidants, fibre and plant based protein and are very filling and economical to buy. The most time consuming part of this recipe is crushing the garlic cloves and chopping the onion! You can literally make these in 5 minutes before work. Then after work, prepare the salsa and you’re ready for a delicious crowd pleasing dinner. Even though the ingredients list is fairly long, it’s very simple to prepare. If you wanted you could even use some premade Mexican seasoning which you can find in the herb and spice area at the supermarket. Cocoa may seem like a strange addition but it is really delicious in nacho beans and adds a nice richness to it. Add one of the tin of tomatoes to the Crockpot. Drain the second tin of tomatoes and add this too. Draining the second tin stops the bean mix from being too wet. Drain and rinse the beans and add this to the Crockpot along with the mushrooms and onion. Sprinkle over the herbs, spices, cocoa, and chilli flakes. Stir in the sweet chilli sauce and mix to combine the ingredients. Sweet Chilli Sauce isn’t very Mexican but it adds great flavour. Turn the Crockpot to low and leave for 6-8 hours. Cooking the bean mixture in the Crockpot really allows those delicious Mexican flavours to develop, but because everything is cooked you can eat it before this if you want. 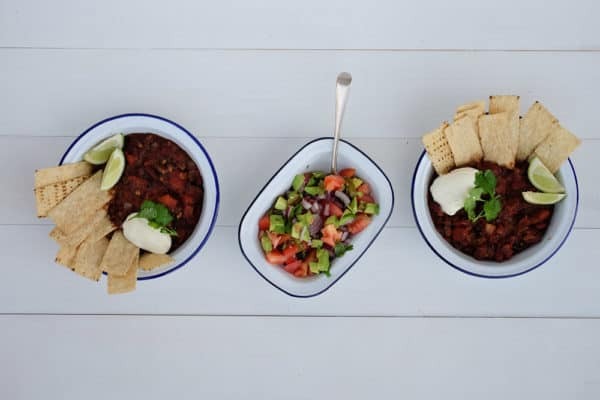 Serve with the salsa, tortilla chips, sour cream, lime wedges and garnish with coriander. I’ve got one Crockpot to giveaway from the new range! To be in the draw to win, check out the Crockpot website and tell me what Crockpot you’d like to win and what you’d cook in it. Competition closes 30th May 2017. Winner will be drawn at random and notified via email as well as published on this post. I’d love the crockpot sear and slow, coffee and chocolate bread pudding looks like a good one to try! The traditional would be perfect for me. Those nachos look so yummy!! Wow the Crock Pot Sear and Slow would be wicked.. to actually be able to sear my meat, saute the onions, garlic, carrots all in one pot is amazing.. I’d cook a beef casserole with dumplings in it firstly. .
Ooh I would live to win the Sear and Slow! Being able to brown ingredients in the same dish would add flavour and reduce dishes and hassle! I would make a chickpea and pumpkin curry. Delish! With a baby on the way life’s about to get a whole lot busier so I’m making it my mission to build a repertoire of great slow cooker recipes. This nacho recipe is definitely going on the to-do list. I would love the Sear and Slow to save on dishes. The lift and serve to make lots and lots of soup for winter coming. I like the look of the sear and slow, would be perfect for a lovely slow cooked pulled beef ???? Oooh! The Crockpot Sear and Slow would be super amazing and very timely!! I’ve had my second bubba with first one being 3 years old so this would be perfect to get sorted first thing in morning and meal ready to go in evening when everyone’s hungry & tired!!! So yes please!!!! I’d make slow cooked barbecue sauce lamb shanks with meat falling off the bones!! Yummo!!! The traditional would be the perfect size for me 🙂 I have a list of recipes I really want to try and make one of which is a slow cooker nacho bowl. I would love the Crockpot Sear and Slow. Timer means it would be perfect for setting before I leave for work and dinner would be done when returning home. Perfect for keeping meals warm for during the cold wet rugby season. The Crock-Pot Sear and Slow would be amamzing!! I would make pulled pork ???? I would love to win the Crockpot Sears aND Slow. Would love the sear and slow! I’d probably make a chicken casserole ???? I would love to win the Lift and Serve. The size of it would be amazing to make soups in, especially as my previous one has broken so a new one would be amazing. I would first like to make a yummy warming curry with winter starting to settle in. Thanks for the opportunity! ???? Would love the sear and slow, great being able to do it in the same pot. I’d cook my family a hearty beef casserole and serve it with mash, delicious! I would love to please win the sear and slow. My husband would make pulled pork, but I love the look of your nacho recipe yummmmmm ???? Crock-Pot® Sear & Slow – CHP700 Would be awesome to have and to cook a yummy Broccoli and Pasta meal that I know my miss five would love to eat ???????????? It would be fantastic to win the Crock-pot Sear & Slow! Venison sharks are amazing slow cooked and I like to sear them first so you get that bit of extra flavor from the browning, better yet with this I won’t have to wash an extra pan or lose any of the yummy crispy bits that stick to the pan! I would live to win the Sear and Slow! It would be perfect to get sorted first thing in morning and meal ready to go in evening when everyone’s hungry & tired. Love my casseroles. I would love to start cooking some healthy slow cooked recipes for my 13 month old and the Sear & Slow looks perfect. The first thing I’d try and make is some yummy beef cheeks! A crock pot would be so well used in our house! I’d go for the sear and slow and I’d start with a vege curry and soups all winter ???????????? Those nachos look AMAZING! A Crock-Pot® Sear & Slow – CHP700 would be perfect for at home, any kind of roast or pulled pork even ???? I’d love the sear and slow just for the versatility and to get the delicious flavour from browned meat and onions but my gosh I’d try sweet and nutty overnight oatmeal – who knew you could do brekky in that thing!!!!!! I would love to get my hands on the Crock Pot Traditional! I’ve been on the hunt for the perfect crock pot and this would be a wonderful addition to my kitchen! I’ve got a stack of amazing recipes that I’ve been dying to try like veggie curries and hearty soups especially with winter looming. This would make my tummy very happy indeed! Sear and slow would be awesome for our busy family. Just saw Paella on the Crock Pot site, would have to try that if I’m lucky!!!! I’d be keen on the Crock-Pot® Sear & Slow. I currently have a Russell Hobbs slow cooker, but it can be a real pain having to cook the onions in the frypan first, & brown the meat etc. The Sear & Slow would be so much easier. I’d cook my fave recipe, Alison Holst’s lamb shanks. It’s different than the traditional red wine/garlic recipe, has a bunch of delicious spices. I would love to win the sear and slow! Would be great to make soups and stews during winter, especially for my flat! The Crock-Pot Sear and Slow would be amazing!!! Would definitely try out thesee nachos ???? I’d love to win the original Crockpot CHP200. Sear and Slow would be great for winter casseroles and lamb shanks. The sear and slow sounds fantastic! I would like to try the bbq short rib recipe…..yum! Would love the sear and slow – slow cooked pulled pork is a winter fav! The Sear and slow sounds amazing! But my crock pot just broke so I would be happy to win any of them. The Crock Pot Traditionsl looks great for our small family to be and I would use it for everything starting with a casserole dish! The sear and slow crockpot looks amazing. I would like to try your vegetarian nachos, haven’t made anything like that before in crockpot. The sear and slow crockpot sounds amazing as there is no need to wash up any additional frying pans. Would love to cook the Vegetable Nachos recipe for my good friends and my 3 boys and husbands would love lamb shanks cooked in the crockpot. Fingers crossed!! 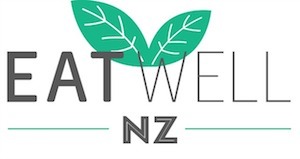 The lift and serve model would be perfect for us, I would book the pulled pork for burgers and am in need of a new slow cooker, as the lid of my current one broke ???? Wow amazing! I would love the sear and slow crockpot to cook braised slowd beef checks. I’ve had the traditional Crockpot for about 10 years now, the new Sear & Slow would be an amazing update! If love the traditional winds it’s perfect for small families. I’ve committed to cooking one crockpot meal each week and I’m really enjoying it! Makes getting meat into my toddler much easier when it’s so tender. However my second hand slow cooker could definitely do with an upgrade! I’d make pulled pork and have it in wraps the 1st night and then use it in a pork and apple pie the next night. Yum!! Argh apologies for all the auto-correct fails in my 1st comment ???? The seat and slow would save on dishes. No more dirty fry pan – what a great idea. I’d make some lovely soups and lamb shank recipes. Although if I won I’d probably gift it to my daughter who is studying Nutrition at Otago and can’t wait to cook her own meals next year. We would love the traditional- a great size for our family plus easy to store! We would love to cook lamb shanks in ours, and also lemon curd (not together though…..)! Would love to win the sear and slow cooker. Mine broke last winter (different brand) and I’d love a new one ! I’d cook lamb obsession in it then a lemon cake in it for dessert. Yummo. The Sear and slow please. I have heard so much about crock pot and slow cooking method.. Perhaps this is the answer to better dinner as we can prepare it in the morning before we leave for work and have great meals ready when we come home at night. Would love the lift and serve. The hinged lid would be great, especially as hubby always likes to ‘test’ the food and the bench becomes filthy before dinner!! Would love to cook up some yummy lamb shanks ???? I would love the Crockpot Sear and Slow. I’d use it to make Mexican chicken tacos, or Creamy Italian Chicken, family favourites that would benefit from the ability to sear the meat in the same pot on the cooktop beforehand. The features of this crockpot sound amazing! The sear and slow crock pot looks amazing! My favourite in the slow cooker is devilled sausages! So easy. The sear and slow would be awesome and first thing I’d cook would be lamb shanks with a rich hearty sauce ???? I would love a crockpot traditional because I don’t have a big family 🙂 I think I’d have a crack at cooking the Beef Bourguignon because it’s SO cold in Wellington right now and I’m dreaming of warm hearty dinners that make my whole house smell delicious. Crock-Pot® Lift & Serve – CHP450 – I would make lentil stew in i! I’d love to make the vegetarian nachos in the traditional crock pot. They look so tasty! Ooh, yes please! The crock pot sear and slow looks amazing – we love to cook for a crowd and the slow cooker is perfect for this, so we need a big capacity. Flexible timer is also a great feature. Love that the pot transfers from hob to cooker too. I would love the Crock-Pot® Sear & Slow. The first thing i would cook in it would be lamb shanks??? ?